The narrative opens with Mr Bingley, a wealthy young bachelor, moving into Netherfield house in the neighbourhood of the Bennet family. Mr Bingley is soon well-received, while his friend Mr Darcy makes a less favourable first impression by appearing proud and condescending. 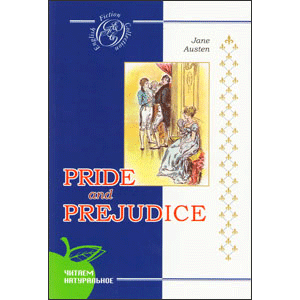 When Elizabeth Bennet overhears herself slighted by Mr Darcy, she forms a prejudice against him. Mr Bingley singles out Elizabeth's elder sister, Jane, for particular attention and it soon becomes apparent that they have formed an attachment to one another. On paying a visit to Mr Bingley's sister, Jane is caught in a heavy downpour, catches cold and is forced to stay at Netherfield for several days. Elizabeth arrives to nurse her sister and is thrown into frequent company with Mr Darcy who begins to perceive his attachment to her. Jane Austen (16 December 1775 – 18 July 1817) was an English novelist whose works of romantic fiction, set among the landed gentry, earned her a place as one of the most widely read writers in English literature, her realism and biting social commentary cementing her historical importance among scholars and critics. From 1811 until 1816, with the release of Sense and Sensibility (1811), Pride and Prejudice (1813), Mansfield Park (1814) and Emma (1816), she achieved success as a published writer. She wrote two additional novels, Northanger Abbey and Persuasion, both published posthumously in 1818, and began a third, which was eventually titled Sanditon, but died before completing it.